Hi there, I’m Rose! This is my first post on Elegant Mint. You can learn more about me by clicking here. To most people, including myself, Christmas is more of a season than a day. In my family the Christmas season always starts the day after Thanksgiving which I think is the perfect time. it’s not too early but not too late. We set up our tree on Friday and then yesterday I flew back to school and we got our own tree for the dorm. All of us brought a few ornaments from home to decorate our tree so we wouldn’t have to go and buy some. It’s been really cold outside lately but luckily we have heat and AC installed in the dorm rooms so it wasn’t cold inside. Well it was a little chilly but it wasn’t freezing like it was outside. 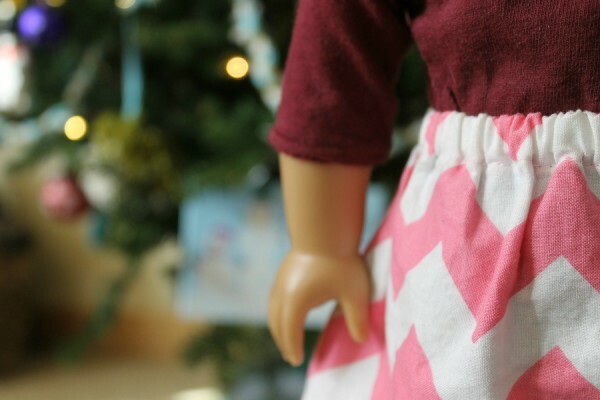 I wore this pink chevron skirt that I purchased a few years ago from an etsy shop called Elegant Basics but she, sadly, closed down her shop. 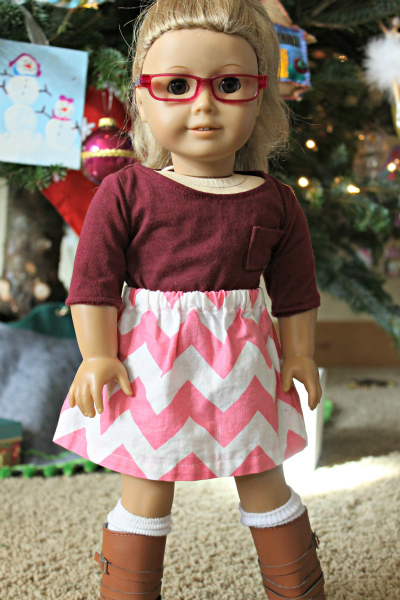 This burgundy 3/4 length shirt is from Lori Liz Girls & Dolls on etsy. It’s one of my favorite shirts and I think she has a few left in stock! My boots and socks are from American Girl. I also thought I would share this photo of my favorite ornament. 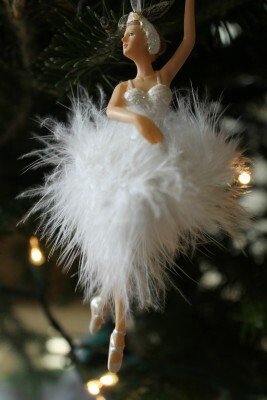 It’s reminds me of Odette from Swan Lake!